But Mar-a-Lago is not simply a site that President Trump visits “temporarily.” It’s called the Winter White House because, like President George W. Bush’s Crawford, Texas home, it is where the President spends considerable time when not at the White House. Moreover, Mar-a-Lago is where President Trump’s personal business interests and his presidential responsibilities intersect. Who can forget when Trump turned Mar-a-Lago into what the Washington Post called an “open-air situation room” when he discussed with Japanese Prime Minister Shinzo Abe how to respond to a North Korean ballistic missile test in plain view of Mar-a-Lago members dining on the terrace. All this may be the underlying reason that it is Mar-a-Lago security staff, not the Secret Service, that are tasked with clearing in visitors when the President is staying there. 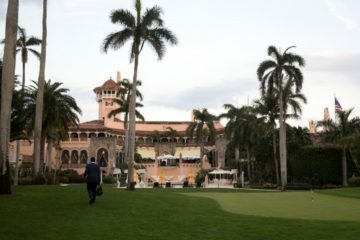 And why Mar-a-Lago members and visitors have nearly free rein once they enter the property, even though they may get as physically close to the President as a visitor to the White House who, unlike them, must go through a criminal background check and more extensive screening. Secret Service protection is designed to restrict access to the President, while Mar-a-Lago members are paying hundreds of thousands of dollars for the opportunity to have access to the President. This may be why President Trump has accepted this arrangement, going so far as to praise Mar-a-Lago security even though they allowed a potentially hostile visitor to so easily gain entrance. The promise of access and less intrusive security measures for Mar-a-Lago events are likely to put more money in the President’s pockets. It may also explain the President’s decision to remove Secret Service Director Randolph Alles, perhaps looking for someone who will be more comfortable with the President’s desire for looser security at Mar-a-Lago. 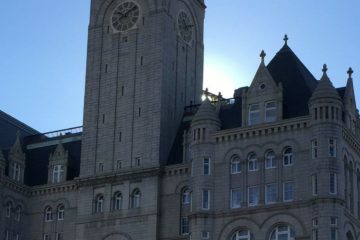 Beyond ambassadorships, Mar-a-Lago members and friends have exerted significant influence on agency policies, apparently capitalizing on their access to and friendship with President Trump. Three Mar-a-Lago friends of the President – Ike Perlmutter, Bruce Moskowitz, and Marc Sherman – collectively and individually weighed in on some of the most consequential issues at the Department of Veterans Affairs (VA), including an effort to overhaul the agency’s electronic health records worth billions of dollars. Pro Publica’s in-depth study based on its review of hundreds of agency documents revealed the three were involved in “editing the budget for a government program, weighing in on job candidates, and being treated as having decision-making authority on policy initiatives.” Their extensive involvement in the VA has led to at least one lawsuit challenging President Trump for essentially outsourcing decisions on key VA policy issues and administrative actions, VoteVets Action Fund v. U.S. Dep’t of Veterans Affairs, No. 18-cv-1925 (D.D.C.). As the lawsuit points out, the three – the so-called “Mar-a-Lago Council” – have neither government nor U.S. military experience, yet operating in secret with no public accountability have dictated a broad range of policy and personnel matters involving veterans. The significance of Mar-a-Lago to President Trump and his business interests is why CREW continues to fight for access to visitor logs from both the official White House and the Winter White House, Mar-a-Lago. 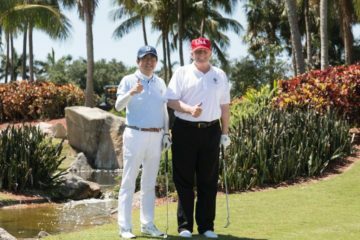 Visitor logs would reveal who is capitalizing on their golf club memberships and Mar-a-Lago friendships to lobby the President in advancement of their own interests and the extent to which the President has fostered that access, mixing his business interests in Mar-a-Lago with the business of the United States. Now more than ever we need the transparency and accountability that the Freedom of Information Act brings.